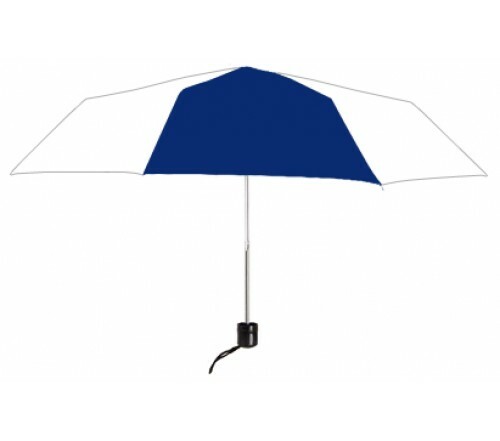 Personalized navy & white 41” arc econo folding umbrellas can be favored by marketers who use this color profile in their brand themes or those who wish to be on safer side with their investments. 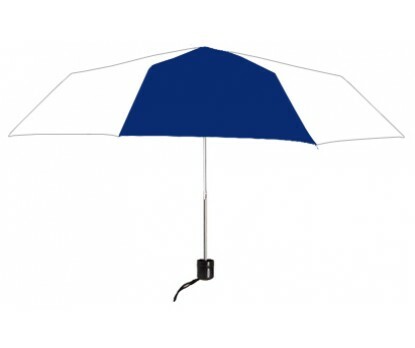 This manual opening umbrella features sturdy metal shaft, full 41” black & white canopy with matching fabric case, matte black handle, and the umbrella folds to 9”. Imprint area – 5”x5”. 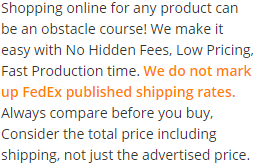 This umbrella makes a suitable gifting choice for marketers who are yet to make any big bang expressions.